I am always in the search for that perfect drinking establishment where you can enjoy a well-made drink in quiet with the proper service. When I get a recommendation of a new spot I give it a try. 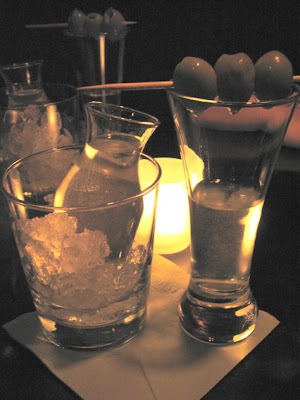 Bar Centrale was the most recent suggestion of a friend who spends a lot of time in the New York's Theatre District. When we were in the area we decided to give it a try. One thing to remember; any place you want to visit in the Theatre District will be packed before and after the show times so go around 8 pm the curtain call. Bar Centrale is located on the 46th street between Eight and Ninth avenues, also called the Restaurant Row where restaurants of various cuisines line both sides of the street. You won't see a sign on the door but the Bar Centrale is located next door to Joe Allen's restaurant. Walk up the steps to a pair of impressive doors and enter. During the colder months you have to make your way through a really thick black velvet curtain. Once in you'll be able to check your coat and step in to room where time seemed to stop in the New York's glamorous times. Cool jazz is the soundtrack to the 50s black and white movies playing over the bar. Bar Centrale requires reservations unless you go there at their off-peak times which are during the theatre but you will have to finish up by quarter to 10, people with reservations will start coming in after their shows around 10 pm. Because we didn't have a reservation our hostess sat us to one of the few booths available with the condition that we will need to clear it by 9:45. We were there only for couple of drinks anyway so it was better than we expected. Overall we ordered two rounds of Martinis. We weren't going to order any food but once the vodka started to make its way to our heads and more we looked at the menu hungrier we got. We decided to order the Yellow Fin Tuna Tartare with capers, sun-dried tomatoes, watercress vinaigrette and pizza bread crackers for $16, Guacamole with corn tortilla chips for $13, Lamb Meatballs in tomato and basil sauce for $14, Flatbread Pizza with mushroom, goat cheese, mozzarella, sun dried tomatoes and truffle oil for $14 and Baja Style Fish Tacos for $16. We would have ordered more but we were already getting the full. Next time we'll definitely try the Lobster Roll and the Pork Sandwich, they certainly look delicious being served at the next booth. 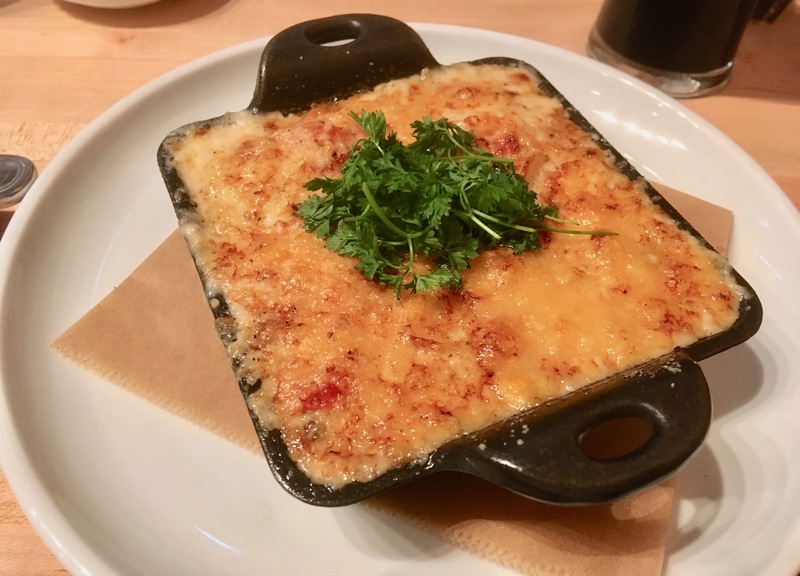 We thought that the food seemed a little more expensive than comparable places but then again this is an upscale location with an impressive ambiance so you do get what you pay for.